Strategist Alex Horner, using Tesla’s CEO Elon Musk as a model of comparison, explains why detouring from your brand’s mission statement is not an option and why having purpose is not enough. Almost a decade ago, Tesla’s enigmatic CEO, Elon Musk, wrote a blog post and published it on the Tesla website. As far as purposes go, Tesla’s was a great one: succinct, progressive and aspirational. There was no waffle. No superlatives. No use of the dreaded word ‘innovative’. With the launch of today’s $35,000 USD Model 3, Musk can put a tick against each step of his plan. The original Roadster was the sportscar. The Model S was the more affordable car. The Model 3 is the even more affordable car. And SolarCity (another Musk company) represents his strides towards zero emission electric power generation options. Think about that for a second. Consider just how much effort, focus and self-belief it takes to achieve an extraordinarily ambitious vision of this type. It’s not an exaggeration to suggest that many modern brands will have had 10 separate purposes and plans within that time period, thanks to 10 annual planning sessions in the past decade. More worryingly, consider also just how few brands have a purpose of this sort at all. Could you sum up the purpose of the company or client you work for in a single, inspiring sentence? Sure, there might be a paragraph or page long mission statement floating around somewhere but a purpose with such clarity and focus is a rare thing indeed. A strong sense of purpose for a brand defines the role it will play in society, the way it will speak or act and the way it will affect people’s lives. It also helps us make far better advertising (somewhat ironically, Tesla/Musk are seemingly high-profile and PR-worthy enough to not rely on traditional advertising at all). The purpose and plan are the first things a strategist such as myself will consider when tackling a brief. They’re a crucial ‘checklist’ of sorts – if the strategy doesn’t clearly ladder up to those components, it’s a dud. The same is then in turn true of each and every creative execution. So having a purpose alone, no matter how visionary, isn’t enough. The best, most successful brands are those that are relentless in their pursuit of consistency. Flip-flopping around with a different strapline, visual style or tone of voice every campaign hinders this consistency. It makes us question just what it is that the brand actually represents. It’s not just wonky advertising that can harm consistency of course. In an age in which many directors of major companies are remunerated on the basis of quarterly or annual performance, there can be a temptation to focus on short-term achievements rather than a longer term ‘end game’. Elon Musk and the great success Tesla enjoys are reminders of the need for purpose and consistency. The need to set out a vision, work out how you’re going to get there and then relentlessly stick to it. 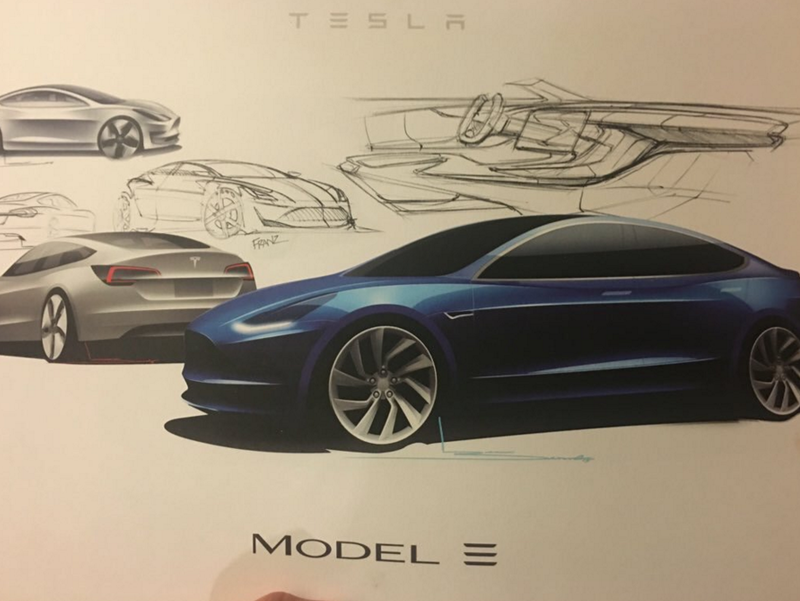 Exactly what Tesla achieves from this point forward remains to be seen, but nobody can deny that in 10 short years, Musk’s company has irrevocably changed the automotive landscape for the better. – Was a large corporates motto. – Was a large corporates ‘vision and values’ mission statement. You know what large corporations motto and mission statement they were for?